OSHA cited Advantage Powder Coating in Defiance, Ohio, for 15 safety violations and fined the company $159,600 after a pedestal grinder operator was killed when the abrasive wheel on the grinder exploded and struck the operator on the head. Pay attention! This one can bite. OSHA placed Advantage Powder Coating in its Severe Violator Enforcement Program (SVEP), which mandates targeted follow-up inspections to ensure compliance with the law. Advantage Powder Coating was placed in the program for receiving two willful violations covered under the agency’s National Emphasis Program on Amputations. Don’t allow wheels to get out of dress. Assure that all grinders have all guards in place. If guards are missing- LOCK IT OUT! Assure that the grinder is mounted to the floor if the pedestal was designed to be bolted to the floor. If no bolt holes are present, then bolting down is not necessary. The safe use of grinders is a key part of our craft. It is up to us to keep the potential hazards that grinders can present safely controlled by insisting on safe grinder practices and inspections to assure guards are in place and properly adjusted. This entry was posted on Tuesday, August 9th, 2011 at 2:11 am and is filed under Engineering, Front Office, Shop Floor. You can follow any responses to this entry through the RSS 2.0 feed. You can leave a response, or trackback from your own site. 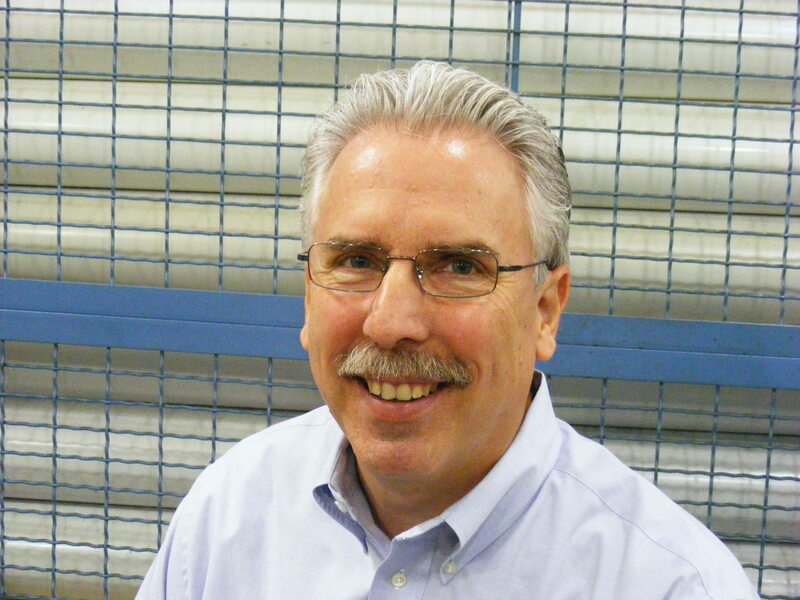 Great reminders… I also find that proper lighting is so often an overlooked aspect of many shop operations. Great point Peter. Thanks for the thoughtful comment. This is the most fined safety violation by OSHA. Hence inspectors are 1st and foremost looking at these and similar tools for guard. tool rest and wheel violations. 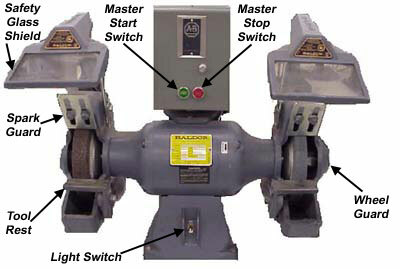 If you are due or suspect an OSHA inspection pedestal/bench tool grinders should be looked at as a number one priority. At times they can be overly critical and demand or site you for missing guards on equipment that absolutely can not be used with the type of guarding they site you for, so don’t be complacent, contact OEM of the item in question and challenge OSHA with documented facts, you can overturn some potentially large dollar violations with some good homework. Thanks for sharing your advice ED! It is ALWAYS necessary to bolt a pedestal grinder to the floor. The only way it would not be is if the grinder is so massive that it would not move under the most extreme conditions. At the least, vibration will cause it to walk. If there are no mounting holes then make some. Hi Robert. I have seen some massive casting mounted pedestal grinder bases without bolt holes. Adding the bolt holes is amodification ofthe original design, and the person doing so then assumes responsibility for the modification, which is why I worded my blog the way that I did. The OSHA folks are rather strict constructionists regarding equipment design and modification in terms of liability.